I've seen a lot of comments in the last few weeks from people who are looking for a good natural sunscreen this summer. Well, look no further: The new Rocky Mountain Soap Co. SPF 31 Sunscreen ($22) exceeds my expectations of what a 100% natural sunscreen could be and performs just as well as its conventional counterparts. More info about this wonderful new product (and what a natural sunscreen is) after the jump! What is a "natural" sunscreen? First things first, let's get a little Sunscreen 101 out of the way. When most people refer to a natural sunscreen, they're most likely describing a mineral sunscreen. Mineral-based sunscreens use ingredients like zinc oxide or titanium dioxide; these particles sit on the skin's surface and create a physical barrier that deflects the sun's rays. Just because a mineral sunscreen's active ingredient is natural doesn't mean the sunscreen itself is natural though. The other ingredients in which the mineral is suspended could be loaded with chemicals. That's why Rocky Mountain Soap Co.'s new formula is so amazing: it's 100% natural and the list of ingredients is relatively short. Rocky Mountain's co-owner Karina Birch likens the formula to Italian cooking: just a few ingredients, but the best ingredients possible, and always as simple as possible. Even though this sunscreen just launched this year after 3+ years in development, Karina is already thinking of how to pare down that ingredient list even further. By contrast, chemical sunscreens have ingredients that are absorbed into skin, where they produce a chemical reaction that converts damaging UVA/UVB rays into heat. Chemical sunscreens usually have names that end in "-one" (for example, avobenzone). Imagine wearing SPF daily and re-applying diligently. Multiply that over 365 days a year and the number of years in a person's lifetime, and you can understand why many consumers are worried about the potential long-term toxicity of chemical sunscreens. If you tend to overheat in the summer, a mineral sunscreen may be a better bet. The heat-converting reaction of chemical sunscreens tends to raise my body and skin temperature noticeably. Children and babies, or those with sensitive skin issues, would benefit from the non-absorbent, non-reactive nature of natural sunscreen. As long as you're not sweating profusely, in and out of water, or rubbing your face a lot, a mineral sunscreen arguably lasts much longer between applications. 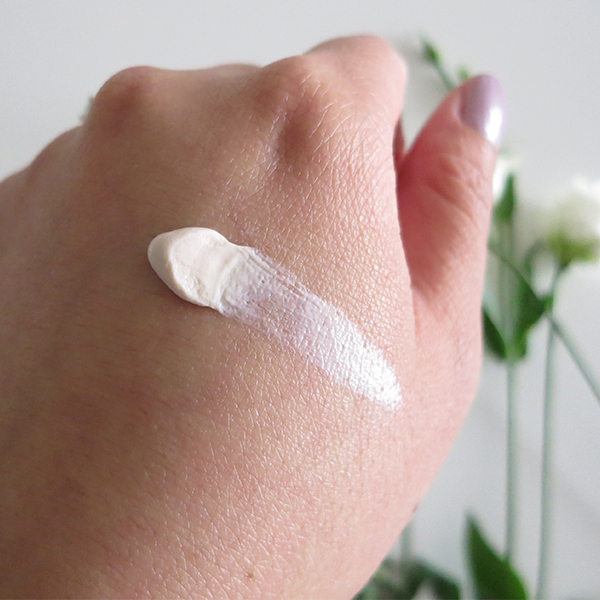 I used a tinted mineral-based SPF 40 one summer in lieu of foundation and sunscreen, applying only once in the mornings and not re-applying during the day, but being careful not to touch my face. By the end of the season, my face was noticeably paler than my limbs. Unless you go for a high-end formula (where the particles are ultrafine), a tinted version, or a SPF mineral powder, the downside of mineral sunscreens is they can potentially leave a white, ashy cast. If you can't stand the feeling of any product on your skin like my fiancé, a chemical sunscreen may be a better choice, particularly a mist or spray, or a sheer or dry touch formula. Sometimes it just comes down to cost and convenience. Chemical sunscreens are available from any drugstore and are often more affordable. 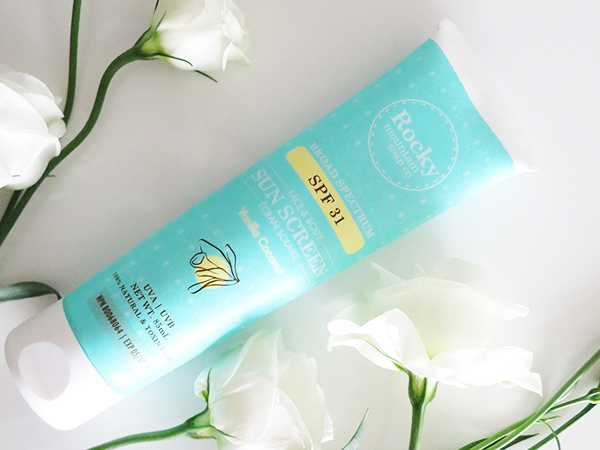 How does Rocky Mountain Soap Co.'s sunscreen measure up? The first time I opened the tube and applied it, the texture had plenty of slip and absorbed quickly to a non-greasy finish. As the days go on though, I've noticed the texture has gotten a lot tackier, drying to a finish that's slightly sticky to the touch. (Maybe it's the sunscreen's natural formula oxidizing as it becomes exposed to air?) The changing texture is more of a minor annoyance than a major pain point; as far as sunscreen formulas go, it's still comfortable to wear for hours on end. The vanilla coconut scent is light, sweet, and natural—not cloying or artificial at all. Maybe it's because of the formula's tackiness, but I was surprised by its serious staying power. We had a couple weeks of June-uary weather recently, and on those grey and cloudy days, I'd apply Rocky Mountain Soap Co. sunscreen in the mornings. I wasn't doing anything too strenuous—just heading to the office, popping out for lunch, heading home or meeting people for dinner—and by the day's end, I could still feel it on me. A regular cleanser couldn't get off either; I had to use a cleansing oil to dissolve the sunscreen before I could wash my face. The only downsides are the price, the size of product, and the possible inconvenience of replenishing. A tiny tube doesn't long with daily applications, and Rocky Mountain Soap Co. products are only available through their select retail locations and online, so it's not as convenient as popping into your local drugstore. The price is understandably high given all the work that went into producing this sunscreen, but those used to the prices of drugstore sunscreens may wince a little at paying $22 for a 85 ml tube. All that being said, this is a 100% natural sunscreen made by a Canadian company (based in Canmore, Alberta, as a matter of fact). And it really works. And it does a good job of eliminating most of the pet peeves one associatees with sunscreens. 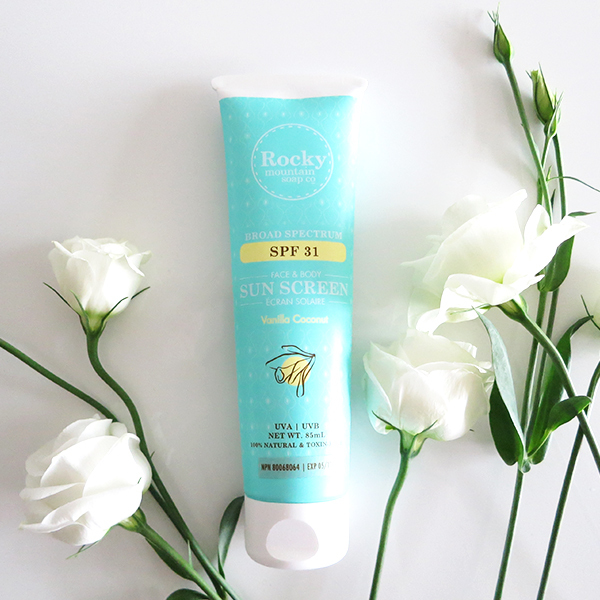 If you're really worried about the long-term effects of chemical sunscreens and you're contemplating the switch to a natural version for yourself or for loved ones, Rocky Mountain Soap Co. Natural SPF 31 Sunscreen is definitely a contender.